Our fifth graders each year head out to School Forest where they stay for two nights and three days. 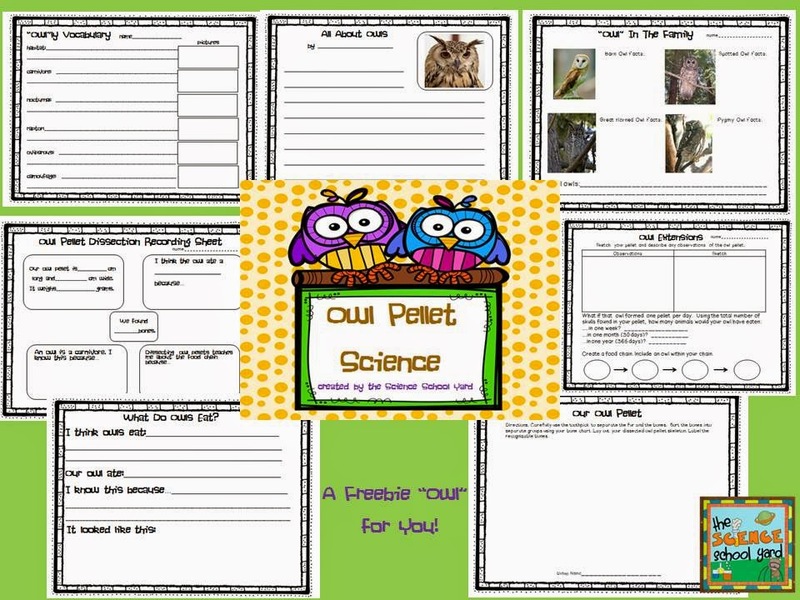 One of the science lessons done out there is owl pellet dissection. Our classroom teachers are always looking for ways to incorporate the concepts taught out there through reading and writing before they dissect the pellets. The sheets that have been used out there are ancient, so creating new activity sheets for them was important, too. I hope you "OWL" will love it!